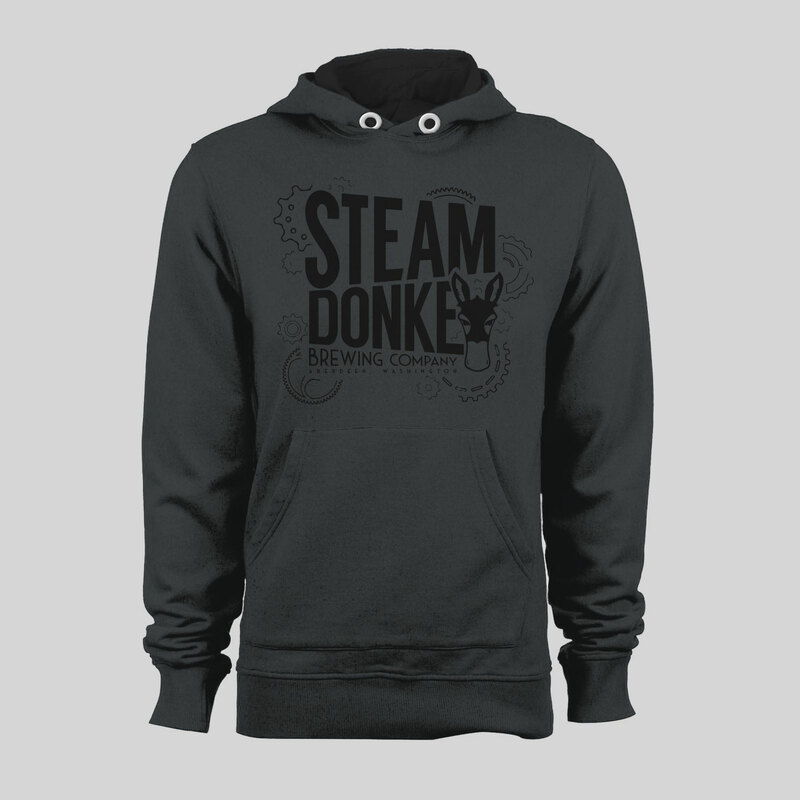 As Steam Donkey Brewing continues to grow their brand, we assisted them in developing new apparel designs to sell in their brewery. They sought out a “steampunk” inspired design to play off of their original branding image. Using gears and a custom illustrated design of a donkey head, we created this sweatshirt design in a single color for printing in a variety of colors and styles.